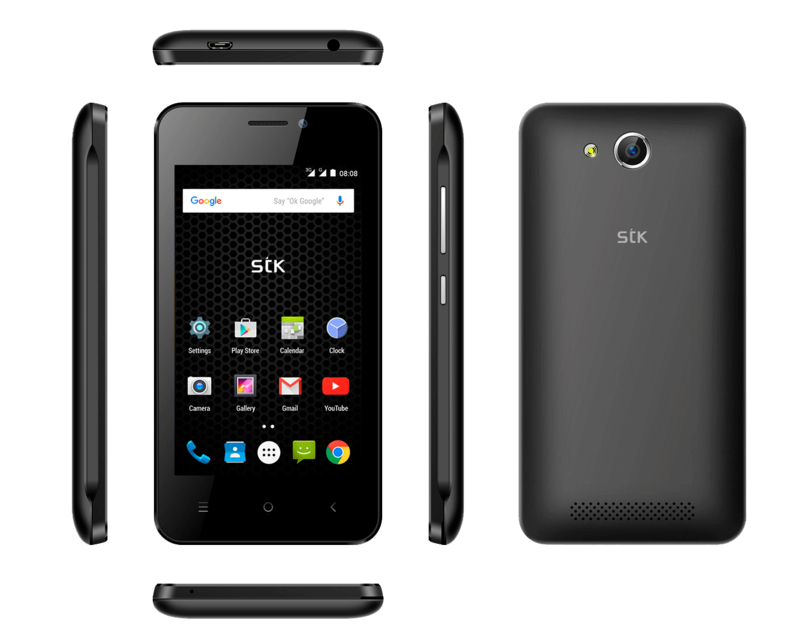 The STK Smartphone range has been added to the 3G Mobile product line up, thereby giving our customers more variety and more competitive pricing. 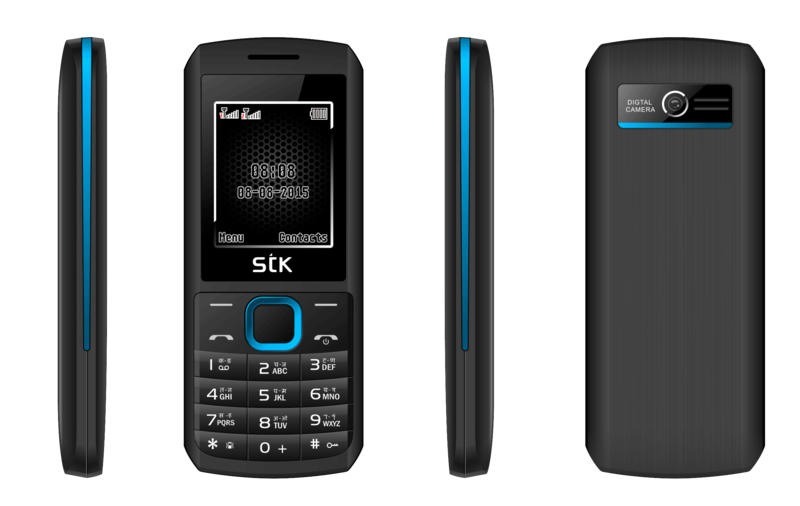 Having partnered with STK, 3G Mobile now distribute the STK range of smartphones as well as feature phones into various African territories. Including South Africa, Namibia, Botswana, Lesotho, Swaziland and other African countries. STK are a British design-led team and like 3G Mobile have an unconditional love for the mobile world. STK make and design luxury smartphones and accessories at very affordable prices. STK’s passion lies in merging design, innovation. and technology to produce beautiful products that will enhance our customers lives. .
3G Mobile are currently distributing several of the STK range of feature and smartphones. Some of the models we currently distribute are listed below. An entry level feature phone with a 1.77″ QQVG display screen. The STK R45i offers a a VGA camera, 32MB of RAM and 32MB of memory. The R45i can also accommodate a 32GB SSD card. Which comes in very handy when you consider that this device has a media player, which can playback various media formats including 3GP, MP4, AVI, WMV and more There is also a FM Radio and a handy torch function, The STK R45i offers up to 120 Hours standby time with its fully charged 600mAh battery. Weighing in at 66 grams and 111x47x14.5mm dimensions this device is a small and lightweight power house. The Storm 2e Plus is the first of the STK range of smartphones 3G Mobile are now distributing in Africa. This is considered an entry level smartphone, with a 4″ WVGA display . It boast a 1.2GHZ Quad Core Processor and comes with Android Marshmallow operating system. The camera capabilities are a primary 5MP camera plus a 2MP front facing camera. It has a storage capacity of 8GB and has 512MB of RAM available for running apps and the operating system. The STK Storm 2e Plus also has an SD slot which support up to 32GB SSD card. For an entry level smartphone the Storm 2e packs plenty of punch. The Sync 5z is the first of the Sync range, with a 5.0″ FWVGA display. 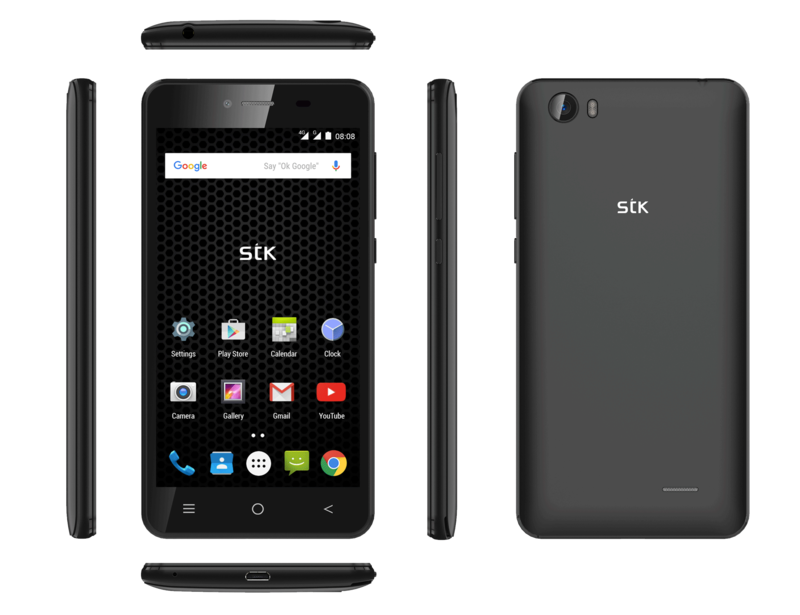 As with the entire 2016 STK smartphone range comes pre-loaded with Android Marshmallow. The on board processor is a 1.3 GHz Quad Core, which which runs on a 2000mAh battery giving the Sync 5z up to 250 hours of standby time. The device comes with 4GB on board memory and 512 MB of RAM. There is also an SSD slot supporting up to 32GB of extra storage space. The Sync 5z comes with an impressive 8MP primary camera with flash and 2MP front facing camera. The Sync 5z plus smartphone comes with an 5.5″ HD display using IPS technology. This device is powered by a 1.3GHz Quad core processor. There is 1GB Ram which is ample to run the Android Marshmallow operating software with plenty room left over for apps. The SSD slot supports up to 32Gb memory which is a nice boost for the 8GB storage already on board. This device also supports a 8MP primary camera (with flash) and a 2MP front facing selfie camera. The large 2800mAh battery helps compensate for the larger screen and will give you up to 250 hours of standby time. The Sync 5e has very impressive cameras with a 13MP primary camera (with a flash) and a 5MP front facing camera which also includes a flash for that perfect selfie shot. The device is powered by a 1.5GHz processor which gives it plenty power to run the Android Marshmallow operating system. The 1GB RAM ensures that this device runs apps smoothly and at faster speeds. This STK smartphone also comes with 8GB on board storage which is supported by an SSD slot that can accommodate a 32GB memory card. Perfect for handling the larger photo image sizes. The Sync 5e has a fast charging time and will charge the 1950mAh battery to full capacity within 3.5 hours.